As a curator of geological and natural history collections, there’s kind of an expectation that I know all about dinosaurs, as well as the other ‘really old stuff’. In reality I only had a passing interest in dinosaurs as a child, and was far more interested in the common fossils that I could collect for myself – fossil shells found on holidays in Dorset, Yorkshire, the Cotswolds, France and Spain. My dinosaur learning curve necessarily went exponential when I took a job as assistant curator at what was then the Museum of Isle of Wight Geology, back in 1991. 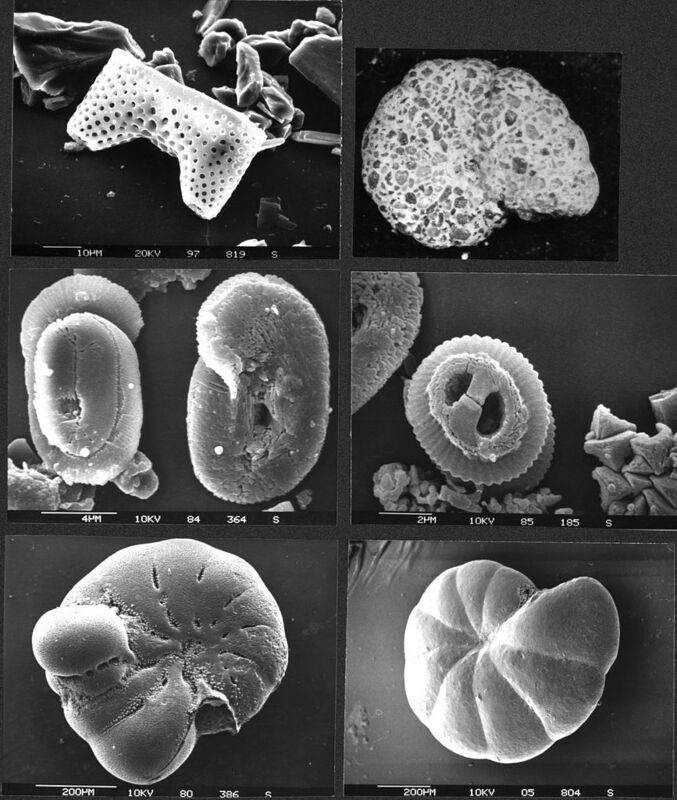 An irony is that at that time I was studying for a Master’s Degree in Micropalaeontology – identifying and utilising the very smallest microscopic fossils, tiny fractions of a millimetre in size, for a range of industrial applications (mostly within the petroleum exploration and other extractive industries). So in the space of a few months I went from squinting down a microscope at samples of literally thousands of shells the size of pinheads, to searching for and working on some of the biggest fossils that Britain has to offer. During my four years working on the Isle of Wight I ended up discovering, collecting, and curating dozens if not hundreds of dinosaur bones. 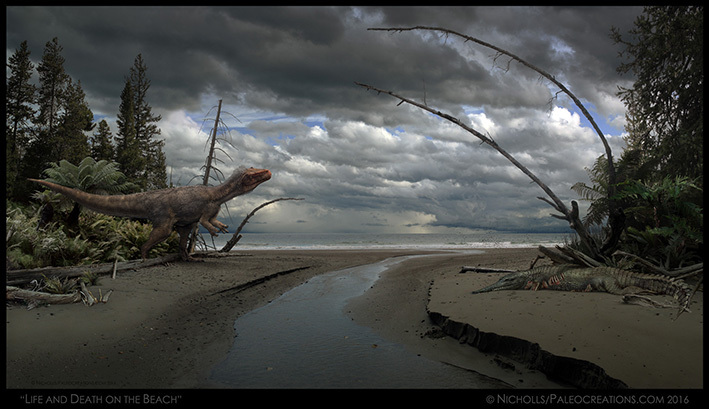 The first time I discovered a dinosaur bone was something of a revelation, and it had quite an impact on me. The way to discover dinosaur bones on the south coast of the Isle of Wight is to know the right stretches of coast (exposing the right rocks of the right age that formed in the right environments), knowing the right places to look (quite often the shore, rather than the crumbling rock of the cliff line), and to keep visiting those places after storms and certain tides, more-or-less irrespective of time of day – or even night, in some cases. This is what you have to do if you seriously want to find new material. That first bone was a broken vertebra of a herbivorous Iguanodon; black, dense, shiny and very tactile, sitting on a little eroded pedestal of 120 million year-old clay in Sandown Bay, on a wet October afternoon in 1991. It was there for the world to see, in the middle of the beach where the retreating storm had cleared away the shingle from the bedrock surface beneath. 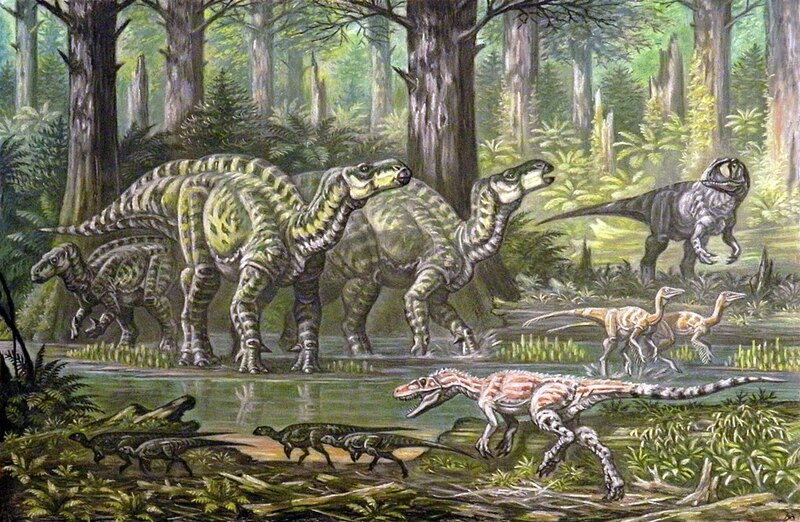 My instant thought was ‘so dinosaurs are actually real – here’s the actual evidence’. Though I’d seen dinosaur skeletons in museums and books since childhood days, and had handled bones in collections, actually finding one for myself made them unconditionally authentic, in a very stark and special way. As said, I went on to discover many more over the next few years, along with associated trackways, fossilised plant and other animal remains; the latter forming the basis of subsequent part-time PhD studies. 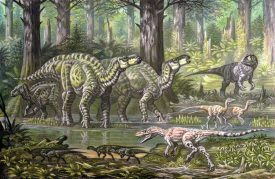 So whilst I can’t claim to be an expert on dinosaurs, I’ve seen the best that Britain has to offer, and have played a part in excavating some very significant finds, and know the thrill of their discovery. Warwickshire also has dinosaurs, and I’d like to think that some of my experiences back in the 1990s have informed how I’ve displayed our home-grown remains within our new galleries, as well as how I interpret them for the public in dinosaur-related lunchtime gallery talks. Before I left the Isle of Wight I collected a couple of beach-worn commonplace Iguanodon bones that I’ve kept for educational purposes. 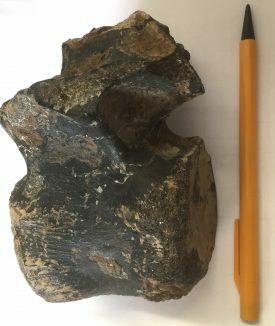 Only a short while ago I handed them around during a lunchtime ‘Show and Tell’ talk at the Market Hall Museum, hoping to share just a little bit of the magic that I felt on discovering my first dinosaur bone, over a quarter of a century ago.